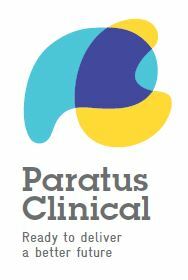 Paratus Clinical has a qualified and experienced team of clinical research professionals who understand the intricacies of conducting clinical trials. Our experience with the entire process, from feasibility to site closeout, enables us to ensure timely and effective delivery at every stage of a trial. Our dedicated research team is comprised of highly skilled research professionals with many years of experience in all phases of trials and in a myriad of clinical indications. Want access to more Site details? Sponsors and CROs looking to choose Sites for their next clinical trial are encouraged to sign up to AustralianClinicalTrials.com. In doing so, you will get free access to any and all Site Selection Packages, ready for you to download. Curated by Sites themselves, all the information you need to know for selection is presented in an easy to read format, saving you time and money. Create an account, and become a part of the fastest growing clinical trials community today!